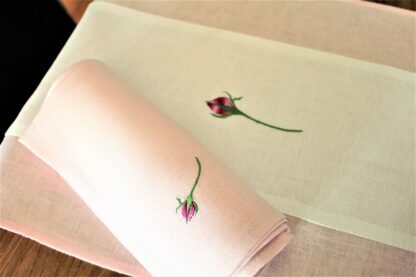 The Irish Rose Bud will remind you of your Mum, your Grandmother, Irish hedgerows and gardens, a romantic dinner or just breakfast in bed. 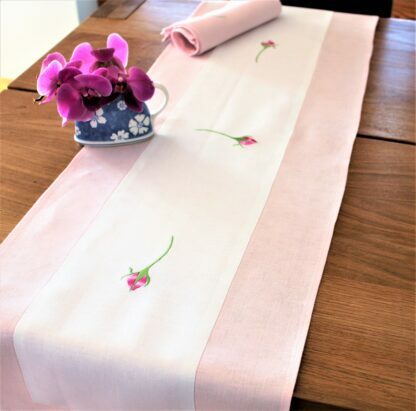 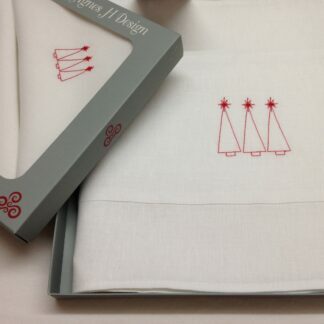 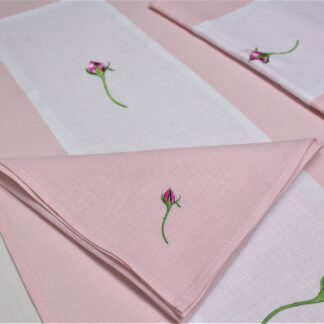 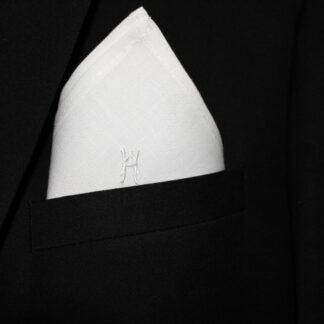 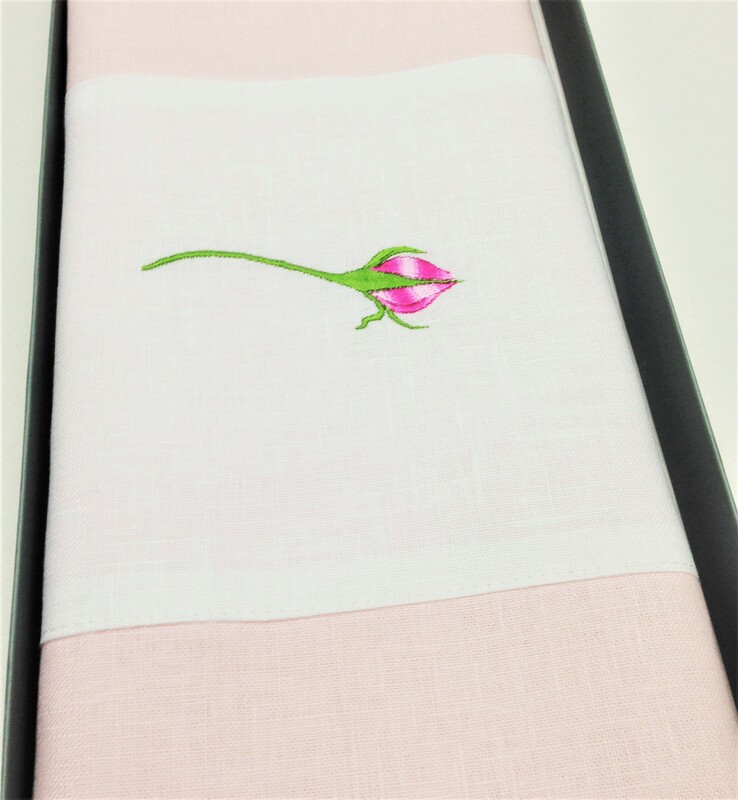 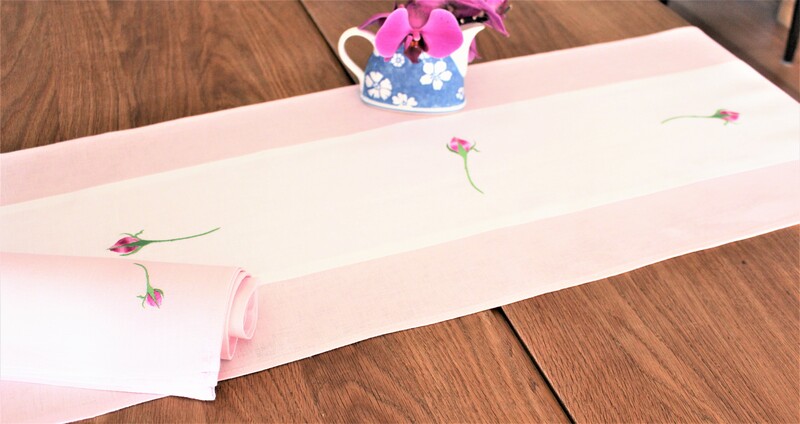 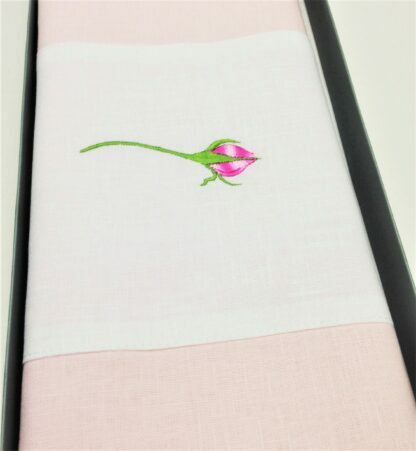 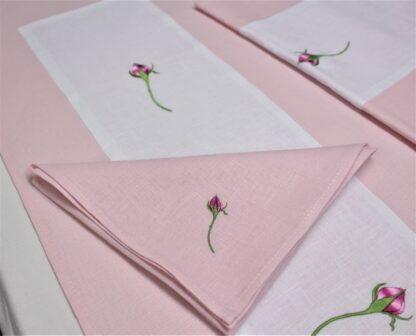 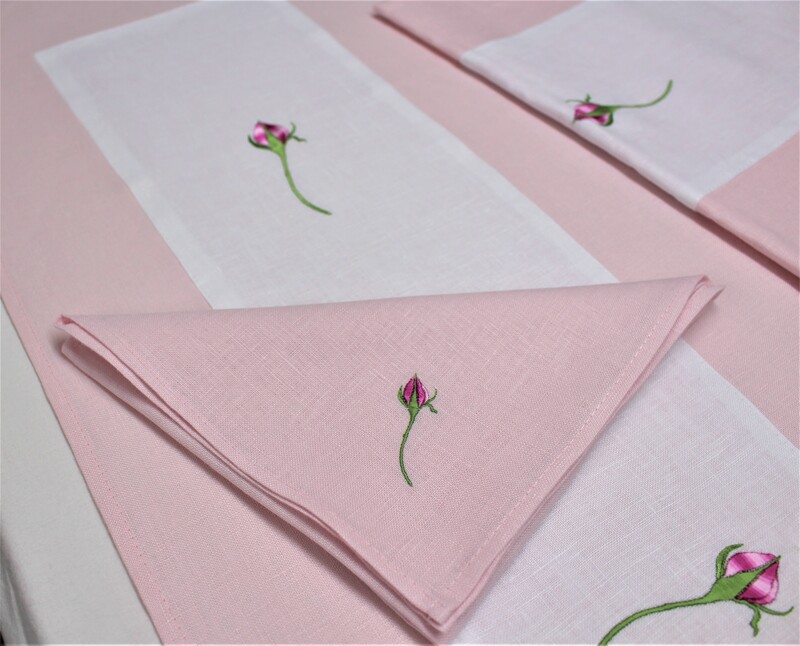 Made from 100% Irish linen in a beautiful pink with and embroidered white appliquéd insert. 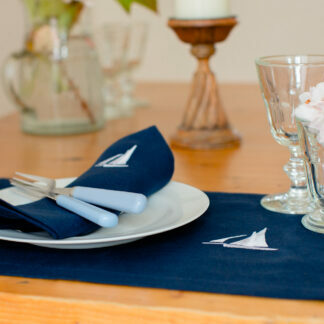 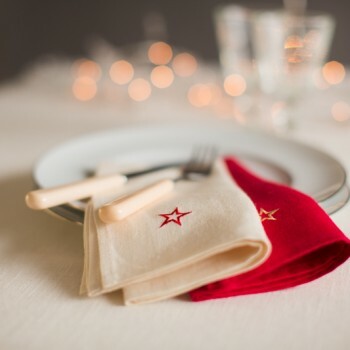 Perfect for St Valentines Day dinner for two or more, the perfect engagement gift or a great Mother’s day gift.